1977 – Epscan Industries Ltd.
Epscan Industries Ltd. has been involved in electrical and instrumentation work for over 35 years with experience in oil & gas, mining, pulp, wood and paper industries. 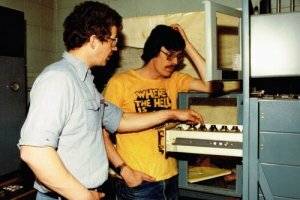 Epscan started in 1977 when two instrument mechanics, Don Stirling and Bob Churchill, both from the Pacific 66 refinery, and Earl Simms, a construction supervisor, made plans to begin a fourth Instrument company in Fort St John, British Columbia after realizing there was a need for skilled and trained E&I trades workers in the marketplace. Don knew many highly skilled laborers in BC and Alberta and it was not long before Epscan became the instrumentation expert in Northern BC and surrounding area.